Three men have been charged after a number of drug raids across Peterborough uncovered half a million pounds worth of cannabis. Five men, aged 19, 22, 23, 27 and 49, all from different addresses in Bretton and Westwood, were arrested during the warrants on Friday. The 19 and 49-year-old men have been released under investigation. Adrian Pepaj, 22, of Brookfurlong, Bretton, has been charged with possessing false identification documents. Kledian Lezaj, 27, of Swanspool, Bretton, and Sokol Sakuta, 23, of Drayton, Bretton, have both been charged with being concerned in the production of cannabis. All three were remanded to appear at Huntingdon Magistrates’ Court on Saturday, 2 February. 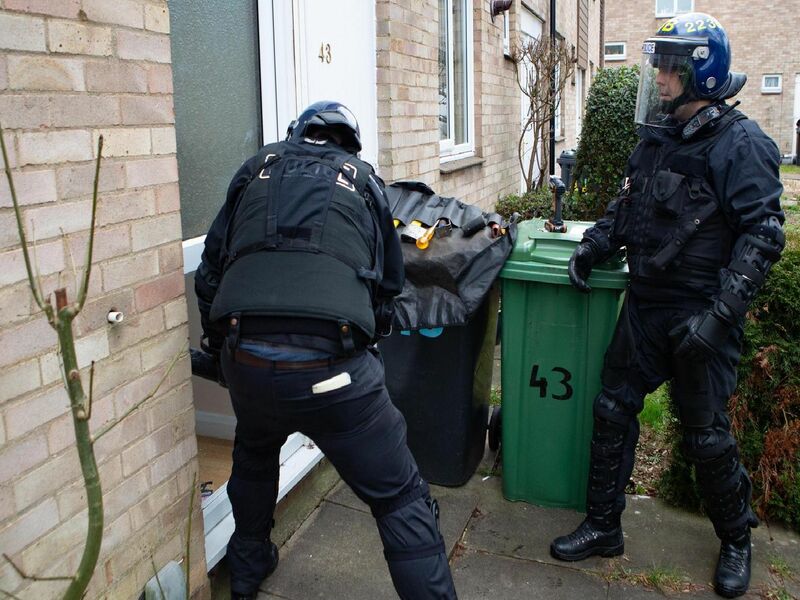 About 50 officers from neighbourhood policing in Peterborough, supported by colleagues from the Special Constabulary and immigration, raided seven addresses in the Bretton area as part of a crackdown to disrupt drugs networks run by organised crime groups (OCGs). Anyone with information about the production or supply of drugs can report to police by calling 101 or online at www.cambs.police.uk/report. To report information anonymously contact the independent charity, Crimestoppers, by calling 0800 555 111 or visit www.crimestoppers-uk.org.